In spite of a lacklustre outlook, 2015 was an unexpectedly good year for cleantech investment. The oil industry did not fare so well. While oil prices dropped and the industry continued to shed jobs, the global renewable energy industry swelled to 9.2 million employed in its ranks worldwide, with projections that it will reach 24 million jobs by 2030. The results of the United Nations Climate Change Conference (COP 21) were not what some had hoped they would be—a mea culpa of history’s climate offenders, followed by a Marie Antoinette-esque let-them-eat-cake of finance and mitigation technologies for the developing world. However, it was acknowledged that any global climate agreement must be a pragmatic, voluntary pledge-and-review system. How did our cleantech predictions do in 2015? Last year, the MaRS Market Intelligence team published its predictions for the cleantech and advanced materials industries in 2015. We predicted that oil prices would remain volatile and that they would inhibit the investment climate for cleantech. We also predicted that 2015—or possibly early 2016—would be the year that Ontario would implement a carbon pricing strategy and that the quantum dot would enrich the colours of our television experience. Let’s have a glance in the rearview at how those predictions turned out. As predicted, oil prices were weak for the duration of the year. The average price dipped to $52 per barrel in 2015, down by $47 per barrel from 2014’s average. However, 2015’s low oil prices proved no barrier for investment into cleantech. The cleantech sector garnered $328.9 billion globally, making 2015 the best year for cleantech investment in its history. Plans for a carbon market are moving ahead in Ontario and the word is it will resemble those in Quebec and California. The cap-and-trade scheme won’t start until January 2017, though. As for the quantum dot TV, 1.3 million of them shipped out in 2015 and it’s anticipated that that number will swiftly rise to 8.2 million in 2016. Now for a peek at what we think 2016 will look like. More emissions-free vehicles are coming to Ontario roads as car manufacturers like Tesla ramp up their electric vehicle production. In Ontario, transportation accounts for the majority of greenhouse gas emissions. Road transportation is the biggest culprit and its percentage has increased by 20% from 1990 to 2013. If Ontario is to meet the 2030 target of reducing emissions by 37% below 1990 levels, transportation pollution needs to be addressed. 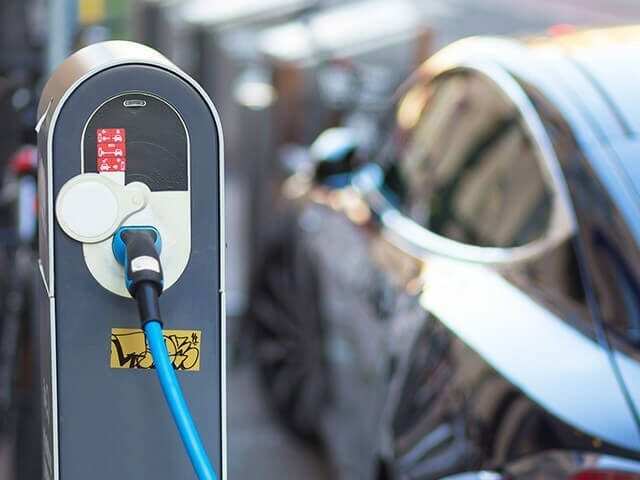 Glen Murray, Ontario minister of the environment and climate change, and Premier Kathleen Wynne made an important announcement at COP 21 last year that is sure to accelerate the growth of electric vehicles (EVs) and the EV infrastructure market. 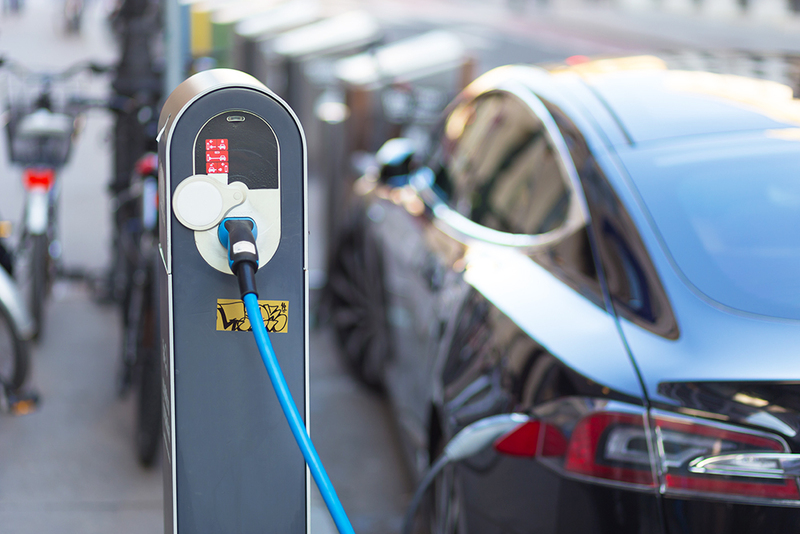 They revealed that $20 million from Ontario’s Green Investment Fund will be used to build public EV charging stations around the province, increasing accessibility and reducing drivers’ range anxiety. Coupled with the province’s generous incentive programs, we will surely see a significant increase in EV adoption among Ontarians. With the long anticipated release of Tesla’s Model X happening this year (on view at the Canadian International AutoShow this month) and some major car manufacturers hinting at plans to release EVs in the near future (including some interesting concept cars by Porsche, Mercedes and Volkswagen), we predict that we’ll see many more emissions-free vehicles on our Ontario roads. For a more in-depth analysis of the EV market, check out our post: Electric vehicle innovations: A market snapshot. Some events in 2015 indicate that the fossil fuel industry’s voyage into obscurity may be accelerating. A global trend began last year with some major players in finance divesting themselves of fossil fuel holdings. This included the Rockefeller Brothers Fund, the World Council of Churches and Norway’s sovereign wealth fund (worth $890 billion). In the United States, renewable energy outstripped fossil fuels as a new power source for the second year in a row, representing 68% of new capacity nationwide. In Europe, wind energy slid into third place as an electricity source, surpassing hydropower, with 44% of all installed power being wind generated. Considering this, our prediction for 2016 is twofold: first, investment into cleantech will surpass 2015’s numbers; and second, the winds of change will blow just a little more briskly into fossil fuel’s proverbial sail, sending it a little closer to the disappearing point on the horizon. Stay tuned for our information and communications technology predictions for 2016.